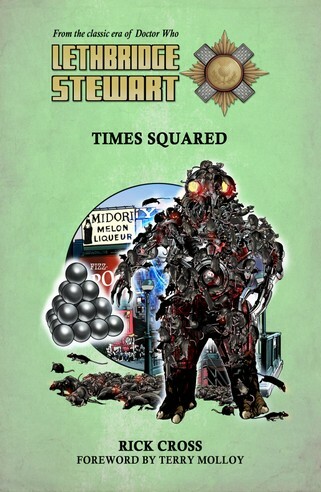 LETHBRIDGE-STEWART: TIMES SQUARED Review | Warped Factor - Words in the Key of Geek. Just once Matthew Kresal would like to meet an alien that wasn't immune to bullets. 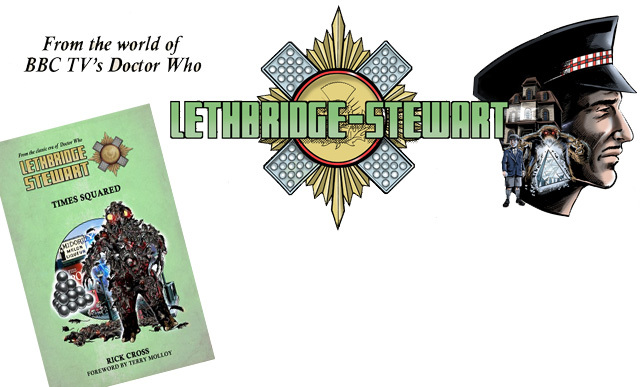 Since its inception back in 2015, the Lethbridge-Stewart range of novels from Candy Jar books have been bringing that iconic Doctor Who character back to life in an ever increasing series of adventures. Even heroes though need a rest every now and then, so it's no surprise that the once and future Brigadier, his fiance, and nephew might eventually set out for some R&R. Rick Cross' Times Squared, which kicks off the third set of books, shows what happens to the best laid plans of rats and the Great Intelligence. As the novel's cover suggests, this is another return engagement with the Great Intelligence and its robotic minions the Yeti. For those expecting a rehashing of The Web Of Fear in a new location, never fret. Cross take one of the unexplored avenues behind them: just who built the Yeti anyway? That question, and its answer, is at the heart of this entry. Cross also introduces a new and particularly gruesome addition of rats to the Great Intelligence's arsenal, which is likely to give many readers (this one included) a shiver or two. As a result, the book follows in the tradition of taking a classic Doctor Who monster and expanding upon it. Which isn't to say that, if you go into the novel expecting Yeti action and somewhere under siege, you'll be disappointed. Indeed, if The Web Of Fear had ever gotten a big-budget Hollywood sequel, Times Squared would have been it. Perhaps more than the other entries into the Lethbridge-Stewart series that I've read to date, this one seems to play out on a bigger canvas and isn't quite content in capturing just the almost quaint feeling that fans familiar with what's termed Classic Who will recognize. It isn't just a subway system or a small part of New York City under threat here and Cross plays that to the hilt with remarkable pieces of imagery that make this feel like a big summer blockbuster. All of which helps to make Times Squared a nice read. It also helps that the characters read right. The real test for any tie-in or spin-off work is “Can I hear/imagine a character doing this?” and throughout one can hear and see Nicholas Courtney in the mind's eye in the Big Apple under siege. Yet when the Brig is out of action mode, he's utterly believable as well. It's a credit to both character and Cross as a writer that he captures Lethbridge-Stewart so well. The novel also gives Sally a sizable role and readers familiar with the series will enjoy a couple of series regulars getting to do some interesting things, with one of them ending up in a very interesting situation indeed. Long-time Who readers will likely enjoy seeing a character from a previous American set Who adventure getting to make her first chronological appearance here, which is a nice addition to the tale. Also, Warped Factor readers might spot one or two familiar names among the supporting cast as well, but that's all I'll say about that. If you're a fan of Classic Who or a follower of the Lethbridge-Stewart range, this is a book for you. It's a ripping yarn that takes the Brigadier and the Great Intelligence and drops them firmly into a blockbuster movie, though one that has plot as well as action. For those wanting a good Who based read, you could do a lot worse than give Times Squared a visit.